Chester’s first community owned solar PV system installed! Many thanks to all who applied to become our members. 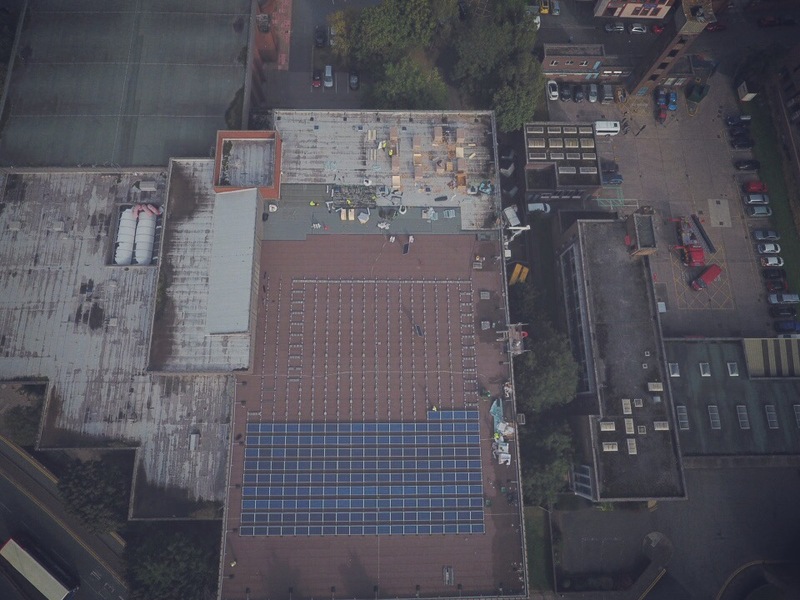 With their help, we have successfully raised £61k in community shares to be able to fund a solar PV system at Chester’ Northgate Arena leisure centre. Work will be commencing on site in mid-Sept. We are very excited about this project, which will generate community owned renewable energy in Chester, create a community fund for further investment in new projects and return interest to our members on their shares. We will be updating our website regularly with project progress (including a speeded up video of the installation). Everything is on track to get 190 solar PV panels installed at Northgate Arena. We are very pleased to say we have reached £45k of our £61k target in less than a month! Please share and help us to meet our goal of £61k. As such we have extended our deadline to Fri 19th Aug. We will be closing the share offer as soon as we meet our target. We are aiming to return 3-4% a year to our members, and to generate a community fund of £45,000 from our surplus over 20 years. Spread the word! We’ve now reached over £40k. We’re well on track to getting the solar panels installed at Northgate Arena by the end of September. We will be closing the share offer as soon as our target is reached. Thanks to everyone who has joined us so far. Share offer update – over £30k raised! We have now raised more than half of the funds we need to install 190 solar PV panels on the roof of Northgate Arena. All works are currently on schedule to have the panels installed by the end of September, thereby securing the higher feed-in-tariff. Exciting times! We’ve been out flyering all week at various venues around Chester to raise awareness. Please to continue to help us to tell more people about the project. 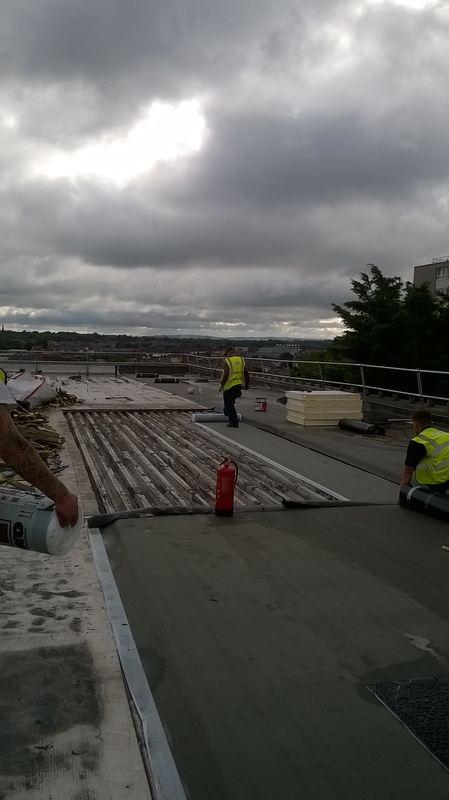 The roof repairs on the roof of Northgate Arena are making great progress! All is in order to get the solar panels installed by the end of September. Share offer update: £25,000 raised so far! Our first SHARE OFFER is now open. Please see the ‘Invest in us’ page for more details. We are pleased to say that within only two weeks we have reached £25,000 of our £61,000 target! In order to help us to get our first project installed by the end of September, so that we may secure a higher feed-in-tariff and return a greater annual interest to our members on their shares, please share widely with friends, family and your community. Chester Community Energy launches its first Share Offer! We are inviting the public to become members of Chester Community Energy Ltd. and invest in us. We are aiming to return up to a 4% interest on member’s investment per year. Minimum purchases start at 250 shares (1 share = £1) up to 5000 shares. We are also aiming to generate a surplus fund for community and environmental projects. To find out more see our Share Offer and Business Plan. Chester Community Energy Launch Event! We are holding an information evening for prospective members to find out more about our first project: a 50kW solar PV scheme for the roof of Northgate Arena. Come along to Northgate Arena, Courtyard Room, Wed 13th July, 7.30pm-9.30pm to find out about becoming a member and investing in us, and more about our first project.